I posted a photo similar to this one on Facebook. It was from the wrap-up party for the Summer Reading Program. Lorraine, a fellow blogger, friend, and local lunch lady, saw the picture on Facebook and asked what we were doing with the stuff. 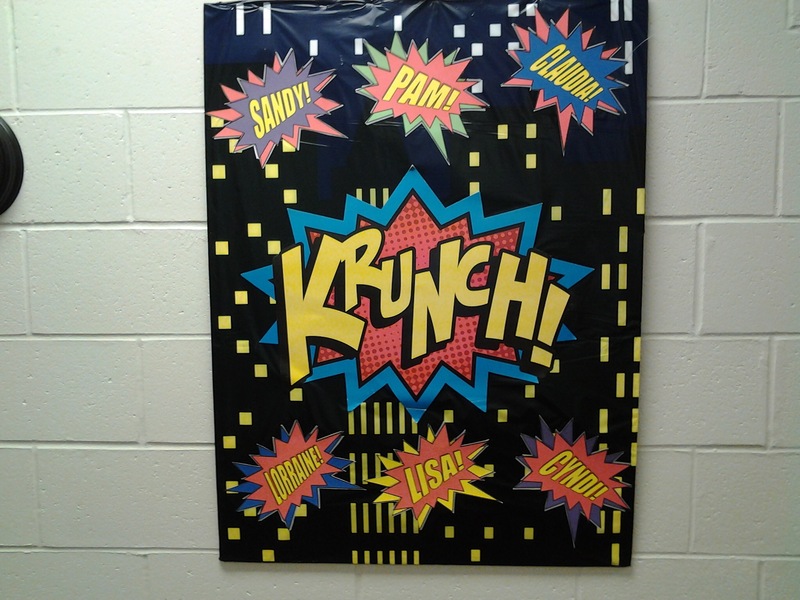 Lorraine posted that the school is having a superhero theme this year and was anxious to get her hands on any of the decorations we were willing to part with or share. I told her the decorations were mostly down, but I emailed Lorraine my coworkers email and work number. 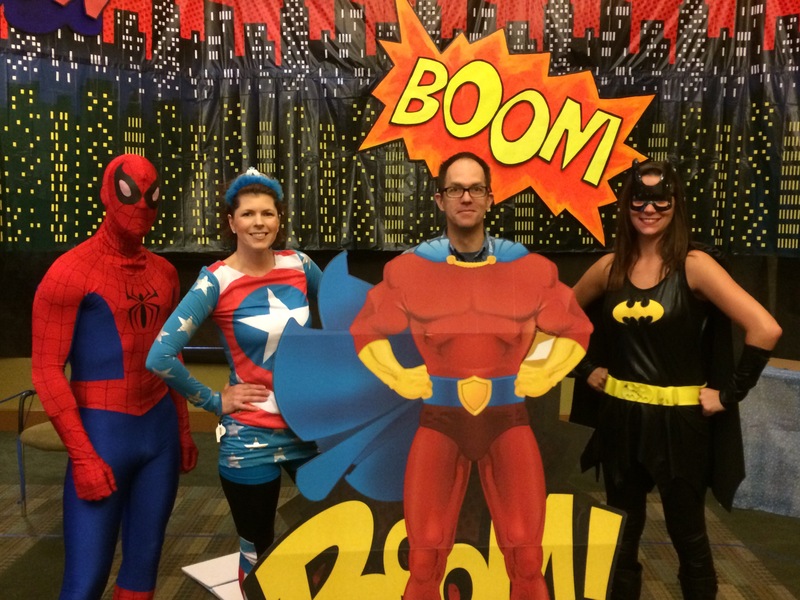 She contacted Julia, our Youth Services Assistant (She’s Captain America, next to Spider-Man, me, and Batgirl, co-worker Rose). Lickety split, a team arrives to take down the decorations. This is why I love social media. It connects people around the globe, and down the street. I recently signed a petition to Save Prosthetics that garnered 100,000 signatures that will have federal policy makers take a second look at Medicare prosthetic coverage. While there are over 4 million amputees in the United States there is a sense of satisfaction knowing that our voices are being heard. As cool as it is connecting people, ideas, and causes from around the world, it’s more important to connect people in our own communities. 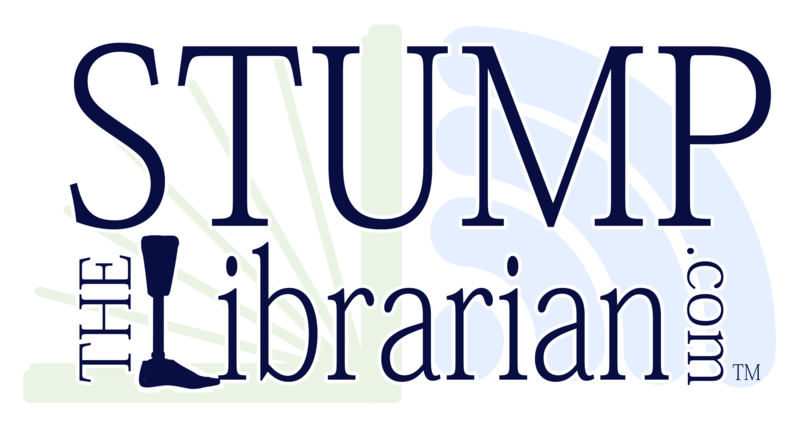 I am proud to be a small part of the conduit that connecting Fairhope Public Library and Fairhope Elementary. Appreciative, the cafeteria staff sent us some photos of how they transformed their cafeteria space. Check ‘em out! Lorraine and I are connected because we met last year at a Gulf Coast Bloggers meeting. 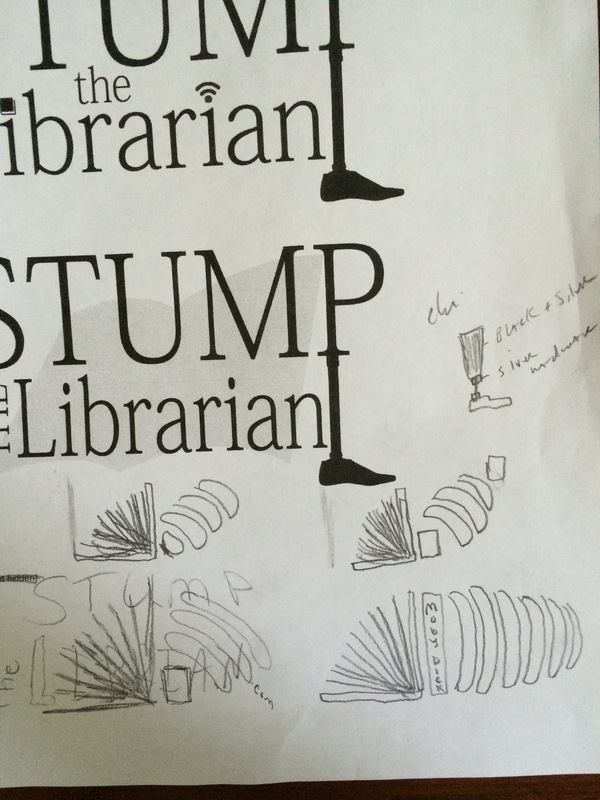 Last month, I hired her daughter Megan to create a logo for Stump the Librarian. Megan is an extremely talented graphic and animation artist. I’ve included this early draft to show you the collaboration process, which I thoroughly enjoyed. We used email, the world’s first social media, (apologies to A. G. Bell, and G. Marconi) to exchange thoughts and ideas. Megan was easy to work with and was great at incorporating my ideas and sketches into vivid graphics and text. I hope you love the new logo as much as I do! Jerry Hannan on You Have a Book? Hope Smitherman on You Have a Book?